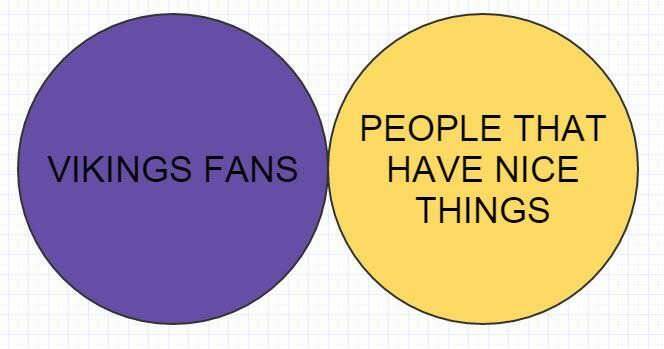 I know the Vikes just got knocked out, but was wondering what others think about the upcoming draft. Spielman will have the #18 selection in a very deep defensive draft, and while the offensive talent isn't as deep in this draft, there are some intriguing prospects along the offensive line that should be available when that pick comes around. One of my early favorites is Cody Ford of Oklahoma. He's a 335 pound RT for the Sooners, but from what I'm reading he's projecting as a guard at the pro level. And guess what? The Vikes could sure use a 335 pound guard who is consistent and can both run and pass block. Not to say this is the guy. There are other intriguing prospects as well, but man, just from the eyeball test Ford looks like what the doctor ordered for this offensive line. 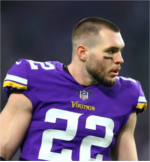 Put him next to a stronger and more experienced Brian O'Neill and maybe, just maybe, the Vikings have the makings of an offensive line, at least on one side of the ball. I'd add Dalton Risner into the mix as well. And toss in Yodny Cajuste (West Virginia) if we're talking tackles. Cody Ford is a stud. I'd love him in purple. One thing I like about this upcoming draft is the defensive depth should help to drive OL talent down the board a bit. It might not work out that way, but if it does, Spielman will get a shot at some guys he might not otherwise see when the 1st and 2nd round picks come up. While I really like Ford, either of the prospects you listed would be fantastic too. But it does stink that he's got to look to the draft to get immediate starters on the OL. He's going to have to find a few rabbits in the hat this year, or find a way to make room in FA for the players he is going to need to maximize his investment in Cousins. Heard something interesting. It was Denver trading for Cousins. I really don't see that happening, but what if it had some merit ? I don't see anyone trading for Cousins unless he's willing to do a new deal, and I don't see any reason for him to do a new deal. Cousins is here now and will be for the next 2 seasons. Spielman has to get the most out of that move, and doing that is going to involve improving the offensive line. Besides, it isn't obvious who would be better than Cousins at QB if they managed to somehow trade him. Spielman is hitched to this horse now. He's going to have to find a way to ride it or die trying. Cousins for Keenum straight up. That would be interesting. I would like to see them draft a QB in the first 3 rounds. Not because of my view of Cousins but primarily because his contract is only for 2 more years *and* we need a better backup. Actual competition for Cousins would be great. Not happy with QB depth at all. Drafting a QB to groom for 2 years sounds like a good plan to me. It's pretty well accepted that Cousins isn't "great/elite" but "above average and good enough to win". I think they should be aiming for great at the arguably most important position on the team. Step 1. Let's not necessarily stop trying to win right now, but stop doing it in a ways that compromise the future. Step 2. Build for the future. Not just next 2 years. That includes a plan beyond Kirk. Even if Kirk turns things around, it never hurts to have a good backup, or trade material. The Vikings, in the 30 or so years I have been watching, rarely groom a QB. They usually pick crap QBs. And almost always their QB FA's have flawed and over priced deals. Rick is a perfect example of failed QBs, and even the idea of grooming a talented QB. Like Viking lord said not happening unless Cousins restructured his deal and why would he. $84 million guaranteed I wouldn't do it. It wouldn't be selfish the Vikings gave him the money who was a full starter for 3 years and didn't win a playoff game. He did not beat the Packers. Denver would probably get Flacco anyways. I guess so but wont happen. It's not too late! Its never too late! Exactly. You can never have enough good Qb prospects or offensive lineman.